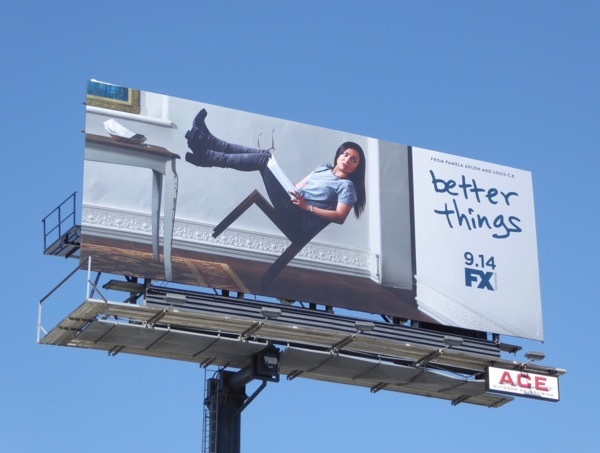 Pamela Adlon has a way of defying gravity for the season promo billboards for her FX comedy about single motherhood, Better Things. The Emmy-nominated actress is back for a sophomore season as 'Sam Fox', juggling being a jobbing actress with raising three very different daughters and dealing with her eccentric mother next door (Celia Imre) in La La Land. 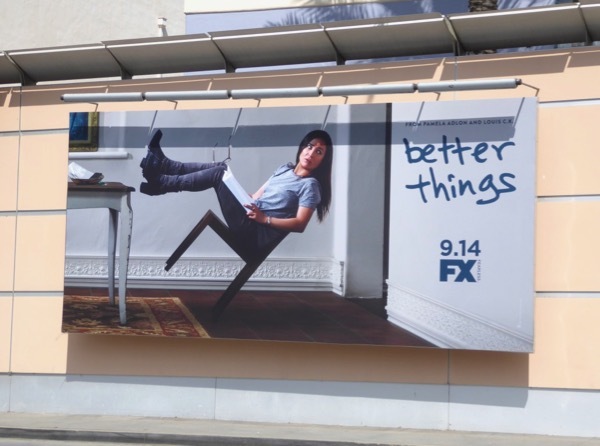 These season two billboards with Adlon teetering on the edge were photographed along the Sunset Strip, Pico Boulevard, La Cienega Boulevard and Olympic Boulevard on August 26, 2017. 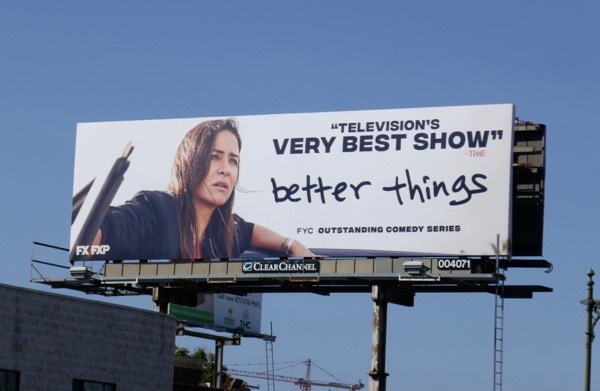 Meanwhile fans of the series can also enjoy these Better Things season one billboards. Let's see if this mother's slog of a life of parenting, dating, working and surviving life gets any better in her second season. 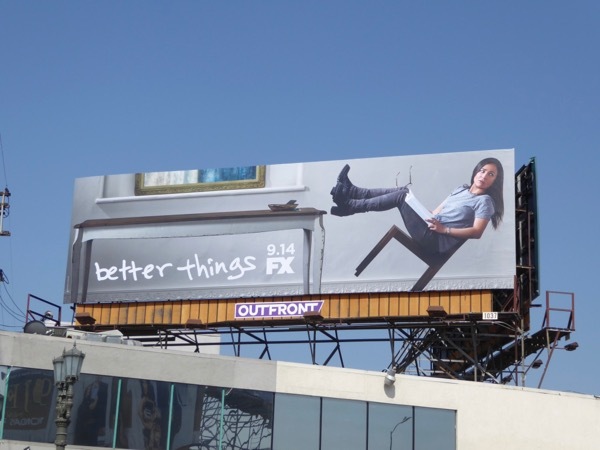 UPDATED: FX is always one of the first to start their Emmy campaigning in the city skies and this consideration billboard for the sophomore season of Better Things was spied along Olympic Boulevard on April 3, 2018 (let's just hope Louis C.K. 's stink doesn't rub off on Pamela Adlon's chances).